There have been a few discussions on here recently about the risk of becoming nihilistic through Buddhist philosophy. We’ve mostly agreed that nihilism was far from the message of the Buddha. My problem is, when I get depressed, the nihilistic approach is all I can see. I go to the wisdom that usually inspires and encourages me when I’m feeling well, and it leaves me feeling empty, not in the good, interdependent way. In the hollow, everything-is-pointless way. Life is suffering —> why continue? So my question is how to avoid or correct this. Anyone have the same issue? If it helps to know, I originally came to Buddhism because of depression a couple of years ago. Gratitude practice has been clinically shown to be very effective at encouraging a positive mind. Each day think of three that you're grateful for that day, it helps if you try to think of different things. For people who believe in reincarnation or rebirth we continue because if we die that's not the end of things for us as a being. So our next rebirth or somewhere along the line if we keep making connections to the dharma eventually we will free ourselves from how we are caught. Death itself doesn't on its own free us. Even if unsure if we quite believe in reincarnation we can still hope to free ourselves in this life. And in the mean time life is not all bad as @person said. I enjoy my cup of coffee each morning even though I can't solve all problems via a second, third, or 20th cup of coffee. And I look forward to not only coffee and things like that but also many of the people who I am temporarily sharing this world with. I don't know if you can relate; I don't suffer from clinical depression, but like probably every single human being at one time or another, I hit the doldrums and feel really low. Well, really, correction: I used to. What I managed to do over time, was to really, really bring myself into that moment, and connect as closely as I could with exactly how I felt. I LET myself feel it, to my core. Then, I'd recognise it. I'd name it. I'd address it, and accept it, as being part of that moment. an important part, an instructive part, a part that existed, was real and deeply-felt. "You'll pass. You always do. Look, it's today. Today you're here, but tomorrow, you won't be. It's ok, I'm fine, really. You may feel real, but you have a way of playing with me, messing with my mind, making me think you're important. Significant. But you're not. I see you; I know you're here, but powerful as you think you are, much as you give me thoughts I don't really want, much as you inhabit my being and make me wonder what the point is, I actually know you're weak. You're an emotional bully. You feed off weakness, but I'm not weak, and you can go, and you're not going to ruin things for me. I know I feel down right now, but at least I know, that I know. I can see me. I get how I feel. But I know, this too shall pass. I recognise this feeling, and I know it doesn't own me. So carry on; stay, abide, linger. But I know you'll go soon. And the next time you come, you'll stay for less time. And the time after that, and the time after that until, guess what? You won't matter at all. I'll see you coming, and I'll cope. Because I'm not weak. I have survived every single bad moment I've ever had. I have 100% survived it. So you can be as low as you like. I'm a survivor. A strong one, at that." This might be useful/helpful. Hope so. Actually if life is dukkha, why do we continue to cling to existence? Because of delight in the senses. Awakening does not mean death. “What is the arising of identity? That is, it is craving conjoined with lust and delight for future becoming, delighting with craving here and there. This is called the arising of identity. “What is the cessation of identity? That is, it is the abandoning without remainder, giving up, vomiting out, eradication, fading away, appeasing, and vanishing of craving conjoined with lust and delight for future becoming, delighting with craving here and there. This is called the cessation of identity. What must be annihilated is identity view. First I'd investigate the initial premise that life is suffering. What does this mean? Does it mean that there is no life aside from suffering or that life suffers? Since there are the other three NTs I have to surmise that if suffering were taken away, there could still be life. We are told our individuality is an illusion which means we are not really separate beings. I know from experience that helping others helps myself. I also know from experience that others can help to pick me up without expectation of any reward. Some people say that ignorance or sin is our true nature but that sounds wrong to me. I would imagine that before life became self aware, there was just cooperation. It probably isn't just a coincidence that it feels right to make someone smile. Life is suffering --> Use the illusion and cooperate consciously. The Middle Way... knowing the objective reality while living subjectively. Even if we make meaning instead of finding it to exist inherently, let's not waste it. It may not have been a plan by some deity but here we are, points of perspective come to life with ever more reasons and means to explore this world we are not separate from. That isn't to say we should cling to any self view. Use it while we got it, stay healthy and all that because we all have a unique way of seeing the world. That is what makes us useful. I go to the wisdom that usually inspires and encourages me when I’m feeling well, and it leaves me feeling empty, not in the good, interdependent way. In the hollow, everything-is-pointless way. I think it is true, it is one of life’s ultimate questions, why continue. But at the same time, when you sit in meditation, and you notice all your feelings and thoughts are empty, you can find equanimity in just sitting. Then you have to ask, why not continue? We were after all given this life by existence, in an unbroken chain from parents to grandparents to great-grandparents and their ancestors, stretching back into prehistory. And so now we experience it, it is our turn to struggle with the nature of mind. Because in the end, it is just the mind. When you sit, think of yourself as an empty shell experiencing just sitting. You will find the mind is really surplus to requirements, it is caught up in daily worries and also in what you think of as wisdom, but in the end you can let it all go and take joy in just sitting. @person, thank you. That sounds like a helpful practice. Would you incorporate it into meditation, write it in a journal, think it through with a cup of tea? What have you tried? @federica, that’s wonderful advice too. This is something I was contemplating last night. There are some instructions that recommend paying attention to the breath to allow the thinking to stop (TNH says this, for instance), and there are some that recommend paying attention to the total experience, or to whatever is calling for your attention. When you’re feeling anxious or depressed, is it better to be mindful of the breath (or body, visualisation, etc.) and stop the thinking, or be mindful of the anxiety/depression? I don’t want to ignore/turn away from the experience, but at the same time, if there’s a place of calm available, I obviously want to access it. At this point in my practice I think I just generally always have a certain amount of gratitude in me, so it isn't really a conscious effort anymore. I usually think experimentation to find out what works best for you is the way to go. Gratitude practice is fairly well established, I'm sure you can find several articles or methods with a little searching. I've heard it recommended that walking meditation is good for depression because it can get energies flowing again. I can't recall the words but 'turn towards' the depression whatever feeling it is. And other things that in your experience get energies flowing again. Maybe going outdoors to a park or somewhere by the water or what have you? Other suggestions I have would be to listen or read the thoughts of Jon Kabat Zinn books or audio. He does a lot of stuff with the body including body scans, yoga, and mindfulness of activities such as eating. It's unusually body oriented whereas a lot of Buddhist meditation dharma talks are talking about more mental. What makes suffering painful is that we expect to NOT suffer. We tense up, we fight our discomfort. No, relaxing into it doesn't make it go away, but it changes how we feel it. Think of any kind of pain, and psychology says the more we resist it, the greater it is. Consider flu-shot clinics ... the kids resist, and end up quivering and tearing up before the short in the arm ... and bursting into wails and sobs after. But the adults, accepting and relax, don't even blink an eye. Now, yes, there IS a slight difference in how you give the injection, since children cannot be guaranteed to jerk. I have had it done that way (the nurse was practicing) as an adult and you CAN feel it ... but just. For the kids it is 99% their OWN self-creation that they experience this as pain. The more we resist something, the more we experience it as painful. And the FIRST teaching of Buddha's is that suffering HAPPENS .. why do we keep on thinking that we alone should be immune from this reality? And it is so, too, for emotional pain. I know this. Especially now. The dog I raised from a puppy, stayed with my ex when we split and I could not find a place where they would let me keep the dog. The dog is now riddled with cancer, and my ex doesn't believe in meeting death with pain medication nor with euthanasia. I constantly find pain over the dog's pain welling up inside me, and then helplessness ... and the normal desire to take that feeling and turn it into anger (which both distracts us from our pain AND makes up feel like we have power again). And the temptation to find some rationalization and justification FOR being angry. I calm down for about 18-24 hours, and then the tide comes back in and again I am trying to tread water. And this is after 18 years of guided practice in Buddhism. Pema Chodron tells us that in Buddhism we are trying to change a lifetime of mental/emotional habits .. and LIFETIMES (if we believe in rebirth) .. so it is not realistic to expect to master this quickly. For those who are upset for my dog, I did consider reporting animal abuse .. but the greatest fear this dog has ever had is when some stranger leads him away (the doggie-daycare, the vet, the groomer). And here he is dying and physically vulnerable and the absolute worst thing I could do is have some strangers take him out of his safe-spot, his home. He will be gone soon and out of pain. So it IS a struggle. And it should NOT be a struggle, since it is struggling which creates our pain. Yes, we get into Buddhism because we want to be happy and no longer want to be unhappy. And it is THAT aversion/attachment that IS the cause of our unhappiness. Sharon Salzberg talks about the Dalai Lama talking about a tour he took of a Catholic monastery where they made fruitcake and cheese to support themselves. And how, at the end of the tour, they offered him a piece of cheese. And at this point in the interview, the Dalai Lama says, "But what I REALLY wanted was a piece of that fruitcake" .. and then he burst into that laughter he is famous for. And that is what we aim for. To be open to our cravings, and NOT take them seriously .. to be able to laugh at where we are stuck. And you know ... from time to time, I think I just MIGHT be able to do that. I know I did this morning, talking to my sister about the tricks my mind was trying to place to turn my pain into anger. I ended up laughing at my ignorance. Will I stay at peace with this? Who knows. I can only know THIS moment and how I am relating to it. And .. most of our pain has nothing to do with THIS moment, but with self-created drama, of fear for the future, or pain from the past that we don't want to let go of. Sorry I went on for so long. I have to dance on marbles these past few days, in order to keep from falling down. What do you mean, "why continue", if life is suffering? Remember the 4 Noble Truths: the Dharma shows the way out of suffering. Why NOT continue, when you have that beacon of hope shining in front of you? OP, I'm not understanding your dilemma. How can you miss, when you have these simple teachings? "Life is suffering, and here is the way out". @FoibleFull, that was a really great post. Thanks for sharing it. I found your Dalai Lama story particularly inspiring. @Jeffrey, thanks for the advice to do walking meditation. I’ve been meaning to incorporate it into my routine for a while. It’s something I generally find a little alien. I practise yoga occasionally and usually find that very calming and restoring. @David, thank you too. I will try to focus on helping others when I am feeling down in the future. You’re quite right, it does help. Do you kind of see what I mean? I don’t want to lay the burden of my depression on you kind people, even though I know you wouldn’t mind. I have a therapist for that! I was more asking from a “practice” point of view. Suffering is just the first Noble Truth. It's valuable Dharma you're experiencing if you can incorporate also the three remaining Noble Truths. Next try to understand the causes of the ending of suffering, then walk the path that ends suffering. Next try to understand the causes of the ending of suffering, then walk the path that ends suffering. Maybe a case of easier said than done? The only thing that's easy is being a slave to your afflictions and creating bad karma. @Jayson, please don't try telling someone who suffers from clinical depression that in essence they're responsible for it. I will not tolerate 'blaming and shaming' and if you have never suffered from Depression (Capital 'D') you simply cannot even begin to imagine or understand just how debilitating it can be. To tell someone that by succumbing to depression, they're creating bad karma is astonishingly ignorant. Frankly, you owe @adamcrossley an apology. Sorry, can't apologize for teaching pure dharma. Ban me, I guess. That's not pure Dhamma; you are sorely mistaken. Insulting and belittling the severe mental issues and workings of another person, when you obviously have no grasp or understanding of the condition, is about as far from pure dhamma as you can get. It supposedly gets easier the more mindful we are. Maybe trying to end suffering is a tough call but easing suffering can only be a good start. Not only for others but for you as well. I think there might be a mistaken idea that thinking about the 4 noble truths for a few weeks or years will end a medical condition. Would reflecting on the 4 noble truths end cancer or diabetes or Alzheimers? Surely working with 4nt is not a bad idea and can be a boon to anyone but it doesn't end medical conditions to my knowledge aside from those times when a miracle happens right? 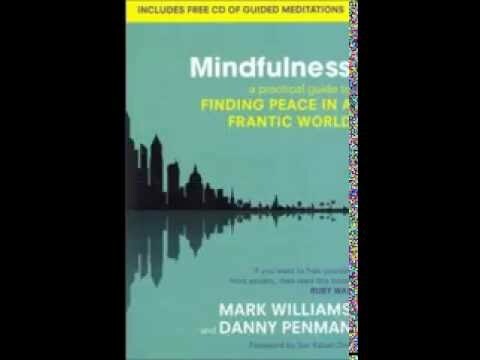 I think Pema Chodron talks about a friend of hers in her book When Things Fall Apart (or one of her books/audio as I can't remember) who has depression and how he copes with it including how the dharma had added to his coping. She isn't wrong you know. The beginning of the path is virtuous actions and abandoning nonvirtuous actions. Then we cultivate meditative concentration. Then we use it to gain insight. So, because I said he should abandon nonvirtuous actions and see the afflictions as the enemy, you said that's belittling. Cultivating virtue and abandoning negative actions is just the beginning of the path and begins to make your mind more peaceful. We all have to live with our karma we've created in past lives. It's a good time for all of us to abandon nonvirtuous actions and make the mind more peaceful so we can progress on the path. It's cause and effect, or karma. What's your case for that being belittling? Yes but having depression does not mean you can't cultivate concentration and insight. And depression isn't easy to abandon like giving up a food or something like that. It's very difficult to work with. Most living beings seek mental happiness and want to eliminate suffering, but just wishing will not bring this about. We may even create the opposite. So we must search for the cause of suffering and the cause of happiness. The afflictions are the cause of samsara, of all mental discomfort and suffering. The remedy is meditation. However it's not a great idea "Oh you have a problem... I guess you are doing your meditation wrong". That is not a very good idea. Maybe a better idea: "Oh you have a problem... a very juicy problem... that is great manure for your practice"
All the things taking place around our world, all the irritations and all the problems, are crucial. Without others we cannot attain enlightenment — in fact, we cannot even tread on the path. If there is no noise outside during our sitting meditation, we cannot develop mindfulness. If we do not have aches and pains in the body, we cannot attain mindfulness; we cannot actually meditate. If everything were lovey-dovey and jellyfishlike, there would be nothing to work with. @federica and @JaySon, I didn’t particularly take offence. There could even be a case for not taking one’s own depression too seriously. I’ll have to post more tomorrow though, as it’s getting late for me. Thanks @David and @FoibleFull for more kind and helpful words, and @federica for watching over us. @JaySon , sent a PM. "Few will give up their burdens and attachments easily. This is why we find skillful means to remove their hindrances. Just as we deal with our own and learn about the nature of suffering. The reason we have to steal others karma is because we can own it, even though others may still be playing with it." Lobster though for a while and then smiling asked, "We have to steal their bad karma before it comes our way? So I guess it is in our best interests?" funnily I've been accused of nihilism yesterday here in this forum simply because of preferring liberation over samsara. But that's no problem since unfounded accusations are characteristic of samsara, so I welcome these because they support my practice. First, regardless of what I am saying if you are under medical treatment because of depression stay with it at all means! Do not misunderstand my words as opposing medical treatment. But let me tell you that I'm feeling with you! There may be a misunderstanding however. Let me explain from the perspective of my experience with Buddha Dharma. I have been introduced to Buddha Dharma by Tibetan tradition and there it is taught that samsaric life actually is meaningless. I've been taught to turn away from this life mentally because there is a way out of samsara! I've been taught that revulsion at this life actually is the prerequisite for good practice and the basis for wholeheartedly taking refuge to the three Jewels! This teaching saved my life! (1) the precious human rebirth; (2) death and impermanence; (3) karma as cause and effect; and (4) the defects of samsara. However I see that if one practices a secular type of buddhism, rejecting rebirth and the like then that's a totally different story. But I do not know what kind of buddhism you are practicing. Maybe you can explain? The good news is that helping people in this world helps us out too to let go of our attachments. The love and compassion helps with that even without so much analysis just truly caring is quite powerful and keeps on pushing automatically at those pesky attachments I suppose. So you don't have to exclusively meditate on emptiness. You can also live a social life where you care. The emptiness thing actually helps you from being overwhelmed by the state of the world perhaps. It is hard to find time and energy to go fully towards learning about social outreach politics and emptiness or meditation. But that's always a problem deciding what to focus on. Even if you focus on social politics and organizations and do minimal meditation or what have you then you would still have to make decisions about your time on what exact aspect of social politics to understand and work mostly with. It is a question that will have occurred to many of us, it’s an existential classic that I struggle with as well. But it is caused by an incorrect statement of the first Noble Truth, it is more correct to say “there is suffering” rather than “life is suffering”. After all, many of us live happy and healthy lives to a ripe age of 70, before serious ailments start knocking at the door and we are confronted with old age, sickness and death. These things are inevitable yes, but we don’t need more than an awareness of the facts before they come around. Thich Nhat Hanh says that a skilled mindfulness practitioner will be able to arouse his joy from thoughts such as “here are my eyes, in good condition”, “here are my ears, in good condition”. it's a matter of karma, nothing else. Karma determines the extent and types of suffering. For some whole life is suffering. For others whole life is worldly happiness. Some have a bit of suffering, others do not know happiness. So does that mean that in daily reality one should do nothing? “Oh it’s just my karma”? But in effect Buddhism contains many tools for transforming suffering. It is up to you to find what thought or mental attitude is torturing you, and apply an antidote. Often when we suffer we suffer needlessly, through one of the Poisons, greed, aversion or ignorance, and it becomes a question of skilful means to see through the situation into the roots of it. In the end what is, is. But the way we cope with it makes all the difference, between a life lived in celebration and one lived in misery. Karma is merely 'Action'. It's not what has happened in the past that counts. It's what we Action now. To view Karma as deterministic, is a Hindu concept, and not one Buddhism aligns with or subscribes to. @Kerome said: ... It is a question that will have occurred to many of us, it’s an existential classic that I struggle with as well. But it is caused by an incorrect statement of the first Noble Truth, it is more correct to say “there is suffering” rather than “life is suffering”. It's also a question of the interpretation of the word 'suffering' or rather its original, untranslated term, which we have come to know as 'dukkha'. Dukkha, strictly and directly speaking, does not, in fact, translate as 'suffering'. It has often been re-interpreted, more correctly and accurately, as 'up-and-down, turbulent, unstable, unpredictable, inconstant or unbalanced. So does that mean that in daily reality one should do nothing? “Oh it’s just my karma”? Strange question. If you like suffering why should you do anything. @Kerome said: But in effect Buddhism contains many tools for transforming suffering. It is up to you to find what thought or mental attitude is torturing you, and apply an antidote. Often when we suffer we suffer needlessly, through one of the Poisons, greed, aversion or ignorance, and it becomes a question of skilful means to see through the situation into the roots of it. Ah ! I feel because I've used the word 'karma' you seem to absolutizing the 'determine' ... funny, isn't it? I’m practising ehipassiko, which I guess is Pali for cherry picking! I wouldn’t describe my practice as secular, but I don’t subscribe totally to any one strain of Buddhism. I’m influenced mostly by Theravada and Zen. I don’t have a clear belief in rebirth, but I’m very open to it. If it would help the conversation, I’d like to take another shot at describing the feeling that I tried to express in the original post. It’s a feeling of being trapped I suppose, where despite knowing that the present episode of depression won’t last, I know it will always come back. And that’s the inevitability that weighs me down. This too shall pass, true, but the happiness which follows, that will pass too. And the endlessness of it can feel very heavy. But that’s samsara I suppose. And we’re the lucky ones, because we have the Dharma. 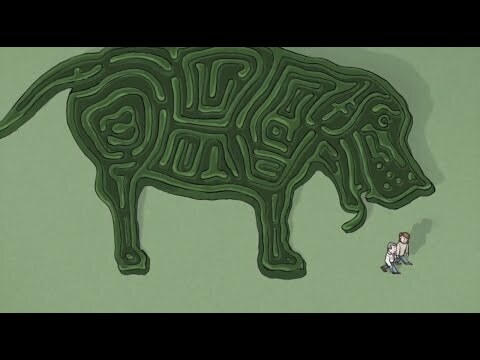 We have the way out. Might it help you to know that beyond the depression that won’t last, there is happiness that won’t last, and beyond that is buddha nature? There is joy and happiness that are always there, that you can always visit. oh well if it's cherry picking then I am also practising ehipassiko. My approach as to buddhist ideas like rebirth is to take the idea as such as an idea for practice. It is not conventional belief. I see. On one side it's conventional impermanence but what is different in your case is the knowledge of future re-arising of a certain kind of dukkha. I mean happiness passes for all of us and after that there's going to be dukkha again. But most buddhist usually don't know what kind of dukkha it is going to be. But you know it. Is there a method to somehow ease the next dukkha or to have a neutral phase in between and to work on its prolongation? I think another sense of the word karma is how did we get here? How did we get to be ignorant of our own nature to the extent that our ignorance or grasping causes suffering whatever lives we have. In some way we can be mindful and kind and things and have a good time in this life for the most part. But eventually old age and death come or a terrible condition like warfare/turmoil and (I'm assuming) rebirth again with the same problem: how did I get here and why do I miss seeing my true nature? Parts of Buddhism can help us lead a good life like mindfulness and compassion but to complete the path eventually we have to cut off suffering at its source of ignorance which causes grasping to what is not 'real'. And what do we have? Well we have the power to choose. Do I want to do A or B? Do I want to lose weight or eat cake? We choose our actions in part though sometimes it seems because we have strong feelings even addictions it seems we are not choosing at times.